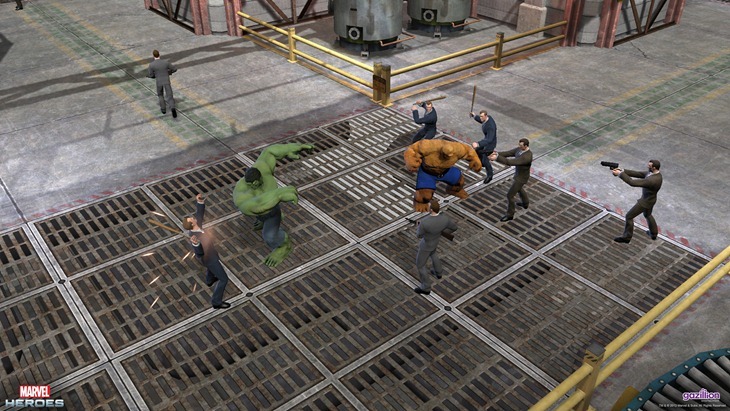 Yesterday, we took a look at how the 2013 release of Marvel Heroes has changed over the last year. It wasn’t an overnight thing however, with the various tweaks and changes being just the start of a Marvel universe that was constantly adapting like Awesome Andy in a brouhaha. But hey, don’t take my word for it. 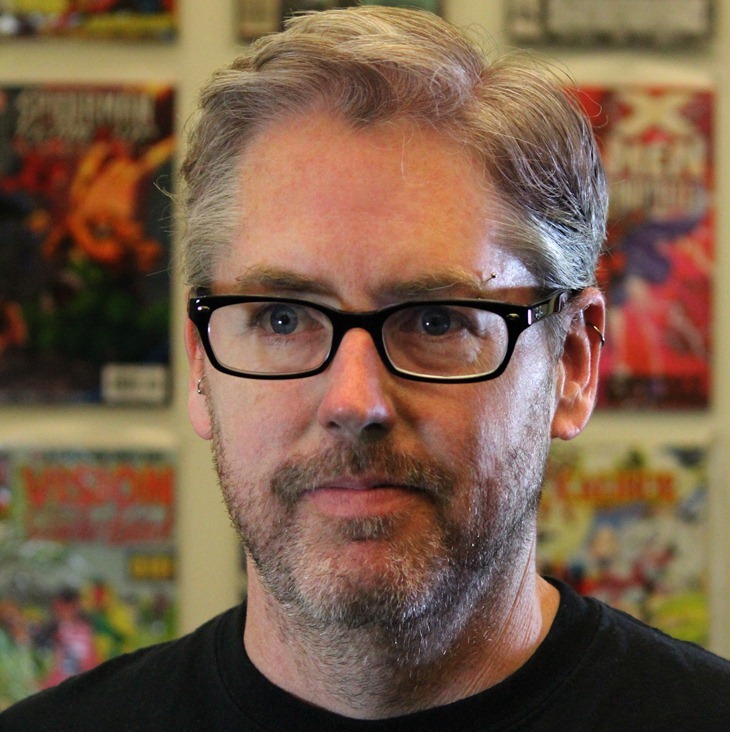 Take the word of Gazillion Entertainment CEO David Brevik more seriously. If his name sounds familiar, that’s because Brevik was one of the key people behind Diablo and Diablo II, before he set off to forge his own path. We had some questions for Brevik about Marvel Heroes, and thanks to a threat that we’d ship him off to a Negative Zone prison if he didn’t answer, we got some snappy responses from the fellow. 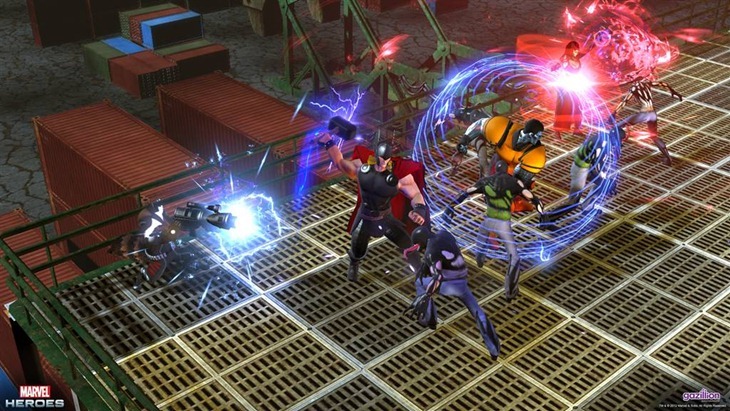 When Marvel Heroes launched last year, the reviews weren’t exactly favourable, ours included. The game had a solid foundation, but it seemed to be lacking a certain spark. Fast forward a year, and a ton more content has been added to the game on a regular basis in order to transform it into a better experience. Was this a case of constructive criticism that helped shape the game going forward? Absolutely, yes. We had a rough launch, there is no doubt. We set out to design a great online Action RPG and we missed that mark due to numerous factors. The scores and community feedback we received then were, frankly, deserved. I think (and I hope this comes out right) that it’s OK to stumble, as long as you learn from that mistake. Perfectly OK. But, it’s never OK to quit, be it on your company, your game, yourself or your community. What we did next, how we took that criticism, how we reacted to it — that is our real story and indicative of who we are as developers. We turned right around, went to the community for help and scrutinized ourselves under a microscope. We listened. Then we acted. We acted non-stop for the next 12 months. We worked tirelessly, revising and improving any and every aspect of the game based on reviews and community feedback: the store, heroes, progression, end-game, combat (defense, in particular), costumes, story, PVP and many other features. Nothing was out-of-bounds. Yeah, absolutely this is a case where criticism lit our fire and set us on the path of constant community interaction and improvement that has led us to where we are today. The pricing system of Marvel Heroes has also been overhauled considerably, with various structures receiving big price cuts. In fact, we’ve got three core tiers right now for characters. Was this done in response to some players citing that the original structure made it prohibitive for gamers to become invested in the title? Overhauled multiple times, actually! We cut prices, added tiers, cut prices on other items, changed functionality, added our own alternate time currency (in-game Eternity Splinters), removed the hero drops, expanded starting heroes… Really, we overhauled our entire store and business strategy. And yes, that change was done in direct response to very vocal feedback. As a game developer, designer and engineer, I just want everyone to have the chance to enjoy my games. Using the free-to-play business model affords me that opportunity. But, free-to-play can be a tough business model to do well; it’s tough and frightening. While designing our business model, we implemented what advice and “best practices” we gleaned and received from other companies that have done this before. As we prepared to launch, we had heard over and over people urging us to charge premium prices for heroes. “You’re crazy if you don’t!” Turns out it was terrible advice. The real key? Just focus on making a fun game. Don’t ever try to nickle and dime people. Make your game fun and give your players the opportunity to enjoy absolutely all of it. Earning enough to operate a business is easy after that. Just charge reasonable prices, don’t be pay-to-win, and make sure you provide players a way to earn these things in-game. And beyond the pricing system, Eternity Splinters were also introduced, that could allow players to purchase new characters without having to spend a cent. It’s a great feature, but does it not hurt the financial progress of Marvel Heroes in the long run? No, actually. That’s the amazing thing regarding Eternity Splinters. Prior to launching a game / any game (which is a multi-million dollar roll of the dice these days), it’s easy to make bad decisions based on incomplete data, apprehension and just poor advice. I recall the anxiety we shared, which was itself fueled by conversations taking place with our peers in games: “If we don’t sell heroes at so and so price and restrict them, we’re not going to make any money.” Total nonsense and just plain wrong. Four things became immediately apparent post-launch. 1) A poor business model is crippling and players will not stand for it. 2) Don’t ever restrict content. 3) Heroes don’t need to be and shouldn’t be a primary source of revenue. 4) Every player is valuable whether they pay $100, $1 or nothing at all. Always. Valuable. So… listen to them and treat them with the respect and courtesy they deserve in and out of the game. These lessons helped drive the creation of Eternity Splinters and various other ways to earn goodies by playing. And, we made sure we never again even considered locking away content like zones or heroes (our classes, for the unaware). 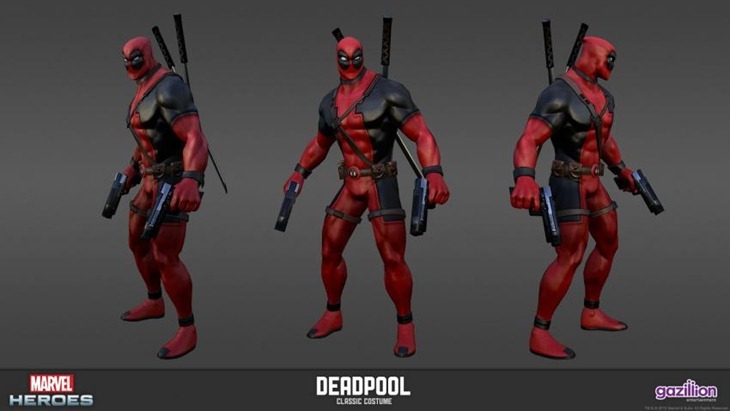 Another big improvement can be seen in the visuals of Marvel Heroes. Was it difficult to rework the engine in order to make the game flow smoother? We’ve also seen the addition of the Rune system, new vendors to allow for customisation options, cosmic keys have been dropped and a friendlier user interface implemented. Is the game in a comfortable space now in terms of overall design, or are there even more ideas on the way that will be put into action? We believe we’re in a much better space, yes. We have a well-rounded game with lots of replayability, diversity, high-level activities, end-game options, alternate advancement systems, modes, etc. This is partly why we’re putting forth the launch of Marvel Heroes 2015; where we are now is simply not where we were a year ago. It’s misleading and inaccurate to continually refer to the game as if nothing changed. At the same time, ours is not a sequel. Nor is it a completely different game. But, Marvel Heroes 2015 does represent a year’s worth of work that I believe far exceeds the standard output seen in other iterative software releases, be it sports game, office productivity, or whatever. That’s the challenge we’re making. We did more in one year than pretty much anything else out there. Even after receiving tough criticism at launch, we planted our feet and swung for the fences. 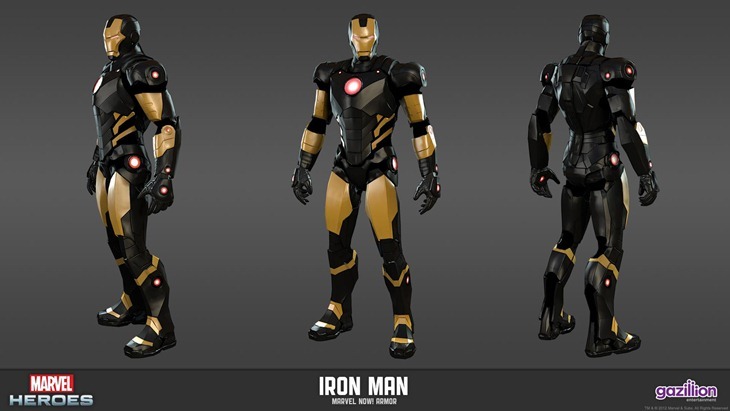 Now we’re coming out with Marvel Heroes 2015, our promise that we’re going to do it all again. In one year’s time, the game you play will have made an even greater leap than we did from launch to now. That’s what we bring to the table. So, to directly answer the latter part of your question: Yep! We have so much more planned. Modes, polish, activities, quests, heroes, villains. You name it. 5. Marvel Heroes is also in a position where it can capitalize on the strength of the recent Phase 2 movies, introducing characters related to them. We’ve already seen an early introduction of Rocket Racoon, who will have a starring role in August’s Guardians of the galaxy. Will we see any more members on the way, such as Groot or Gamora? This is part of what makes Marvel the best partner on Earth. Not only do they have the world’s most successful IP, it’s also an IP they treat extremely well and with tremendous care. There’s nothing but quality coming out of Marvel these days. Every year has several releases and they’re all outstanding. They’ve been batting a thousand for years. GotG is going to be no different. For us, we’re working with Marvel right now and planning out how we’re going to tie-in. Definitely, you’ll see Star-Lord playable, Drax and Gamora Team-Ups and some costumes. Beyond that, we’re still fleshing out the specifics. If you look at the amount of content we put out per month, this won’t come as a surprise. We move super fast here. So even though August 1 is around the corner, there’s still plenty to flesh out. We’ve seen quite a few new zones added, such as the SHIELD Training Room and new areas of Manhattan. Any new stages that you’d like to share, or at least tease us with. Super near-term: Bronx Zoo, which is a new zone that functions along the same line as Midtown. After that, we have all kinds of crazy and awesome zones planned. 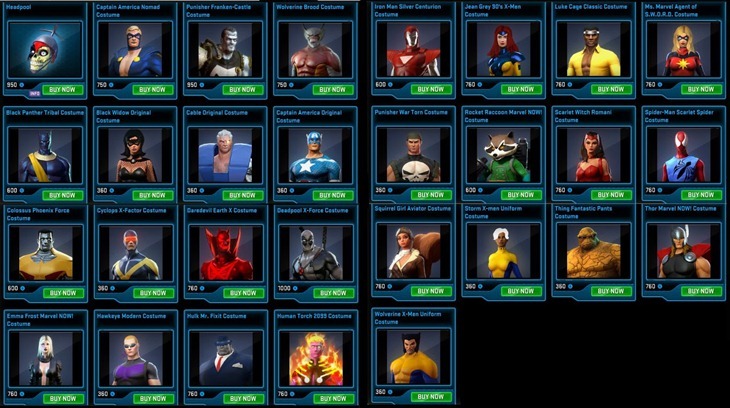 There must be over 200 costumes by now in Marvel Heroes. And that’s not even the tip of the iceberg, as several decades of comics and films have created hundreds more. Any clue as to which new costumes we’ll see soon for various characters? Our costume library and diversity increases weekly. We have many costumes that allow you to not only change your hero, but change gender; Lady Deadpool, Shuri (Black Panther) and Lady Loki. Very soon we will have Alejandra Blaze (Ghost Rider) and Captain Marvel (Ms. Marvel) gender swaps as well. These costumes feature new voices as well as animation changes. We also have a ton of unique looks. We are giving away a very different looking Punisher (from the Omega Effect) as one of our 365 in-game gifts for our anniversary. Each week we put out several costumes and the diversity and customization in the game grows and grows. 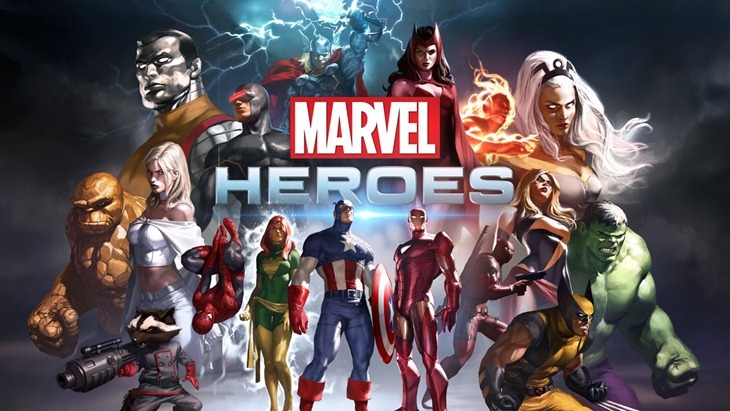 Is there a long-term goal in mind for Marvel Heroes? Is this a game that will be constantly worked on in order to be relevant for as long as possible, much like World of Warcraft and EVE Online are still carrying on to this day? There is a long-term goal, yes. It’s an ambitious goal, but a simple one: Make a top ten title by doing more than you did yesterday and doing it better. The easiest way to visualize this is to think about Marvel Heroes 2015 as it compares to Marvel Heroes and what it might mean for the game when it inevitably becomes Marvel Heroes 2016. We’re committing to the same level of in-game improvement and expansion every single year. We will put that much work into our game. That means we’re in it for the next decade. If you look at a top ten list of successful F2P titles, there are games that are quite a few years old — games that also had rough launches and then grew and grew from there, too. In terms of business and expansion, we are doing some big moves now (Mac, new languages, territories, distribution partners). Expect more of that. A year later, and the game is radically different. How do you plan to celebrate this milestone? I’m sure that I will play! I often stream with my wife and invite the community to come join. I will celebrate by enjoying the fruits of our labor. Then, I will probably want to work more. That’s the thing about games. If you don’t have a passion for it, don’t do it. You have to want to make games. When you do want it, celebration becomes synonymous with putting even more into your game. You want to see it grow and improve. You look forward to it. It’s a job and a hobby. It’s a pastime, a passion and a pursuit. That’s what’s exciting. That’s what drives us to do more. We’ll release some cool stuff, play with our community, listen to them, and then get right back to putting more cool stuff in. 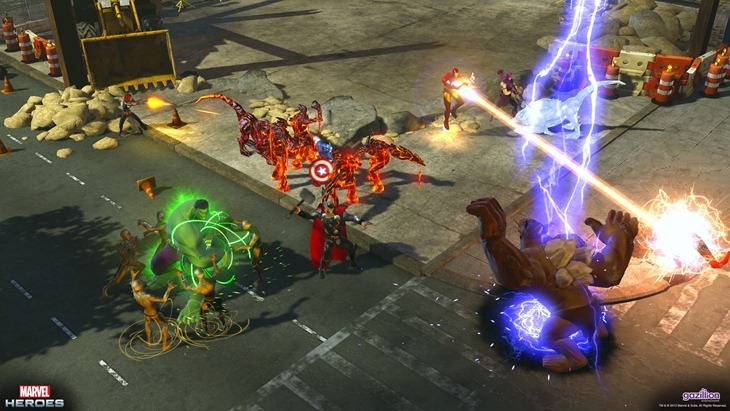 Marvel Heroes gets a 2015 face-lift this week. It’s free, so give it a chance if you can as the game has improved considerably. And it needs your feedback to continue to evolve.